Saturday, April 30, 5-7pm: Book launch: "The Fifth Dimension," "Threeways" and "Soyouwanttobeacontemporaryvisualartist"
Equity Gallery is pleased to announce Suggested For You, a solo exhibition by Patrick Meagher, curated by Queenie Wong, on view from March 31 to April 30, 2016, with a public opening reception on Thursday, March 31, 6-8pm. Meagher presents digital collage inkjet prints, paintings, and porcelain and steel sculpture that explore how the digital age affects us spiritually and emotionally. The exhibition will be further activated with an “art clubhouse” featuring a library of artists’ publications, weekly collaborative ceremonies and a parallel exhibition of ephemera embedded in the gallery. Meagher’s art examines how humans will evolve in an era of emergent transhuman technology and increasingly virtual interactions. Exploring notions of space and dimensionality, his process focuses on digital production, timeliness of subject matter and information and resource sharing. His digi-pop work uses familiar images and icons of the early Web to examine notions of personal awareness and our relationship to broader human consciousness in a mass media-driven universe. The title and content of the exhibition refer to the “suggestion engines” of online publications, advertising targeting and metaphysical questions of online cosmopolitanism, sociability and information flow. 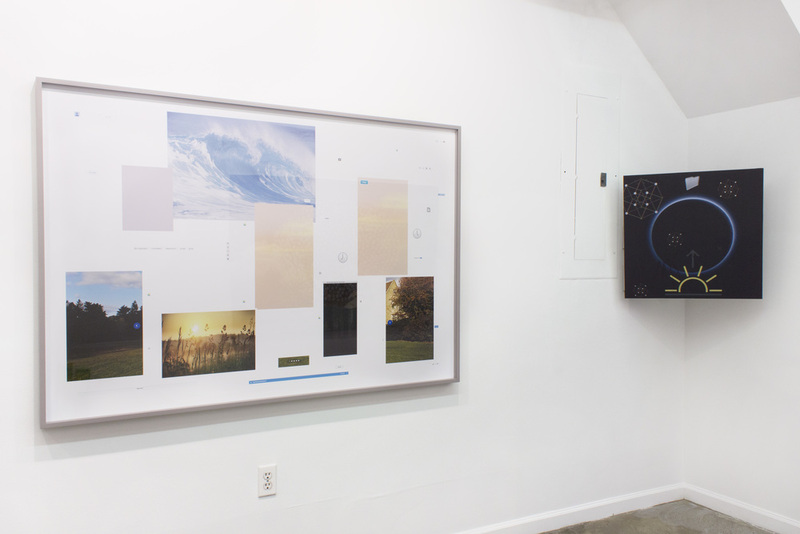 In the storefront window, Meagher presents his info-collage diagrams in a slideshow and a set of booklets about the process of art-making that touches on the trend of becoming an artist as an aspect of the broader movements of wellness and luxury. 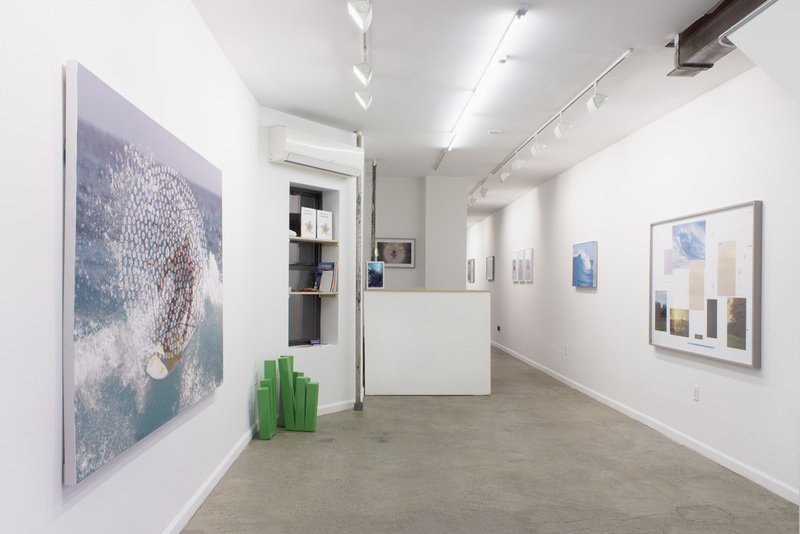 As part of the exhibition, the gallery will become an environment that encourages reading, relaxation, conversation and browsing – facilitated through the addition of a second hidden exhibition within the exhibition – in the form of products and props embedded into the fabric of the gallery workspace and introduced through tours by gallery sitters or by appointment with the artist. This art clubhouse and dialogue platform is an extension of Meagher’s social practice art and is reminiscent of the underground art space Silvershed, which he co-founded and ran from 2005 to 2014 in Chelsea. The artist will be at the gallery regularly during the exhibition and host end-of-day ceremonies Saturday evenings with collaborators and friends, in the form of group meditations, book readings and discussion hours. Event details will be announced on Equity Gallery’s website. Patrick Meagher (b. 1973, New York, New York) lives and works in New York. Meagher studied Fine Arts at Carnegie Mellon University and the Kunstakademie Dusseldorf and completed a masters of Landscape Architecture at Harvard University to pursue public art-making. His painting, sculpture and interactive/animation artworks have been shown in galleries, museums and collectives in the United States and Mexico, Europe and Asia, such as MoMA PS1, New Museum, Daejeon Museum of Art, The Hyde Park Art Center of Chicago, Golden Pudel Club, ACP, Night Gallery and L&M Arts in Los Angeles.